Pictures of birdhouses made of twigs, sticks and branches. Plus, detailed directions for building a bird house out of recycled materials like this. 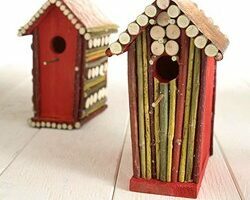 Wooden Birdhouses: Think Of ‘Em As Log Homes For Your Birds! 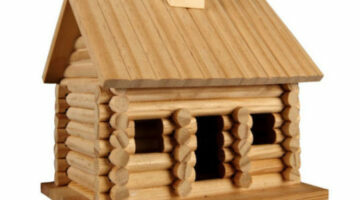 Log cabin birdhouses you can buy or make yourself. There are lots of pictures of bird houses that resemble log homes here. These bird feeders are built to resemble rustic log cabins. They are perfect for anyone who appreciates the fine art of log homes and enjoys living the log home lifestyle — inside and out!